In today’s Wall Street Journal I review the Broadway openings of Network and The Cher Show. Here’s an excerpt. Broadway is a business—and a bad one. Not only does it cost a horrifying amount to open a show there, but most Broadway productions flop, losing their investors’ money with fearful efficiency. How, then, do you persuade anyone not obviously demented to pour cash into a new one? One possible answer is to make it as much like a past success as is possible. That’s more or less what the creators of “Network” and “The Cher Show” have done: They’ve rummaged through the recycling bin and come up with two “new” shows that look fresh but are, beneath the frosting, as familiar as a stump speech. In the case of “Network,” Lee Hall’s stage version of the 1976 Paddy Chayefsky-Sidney Lumet film about a network anchorman (played in the film by Peter Finch and onstage by Bryan Cranston) who cracks up midway through the evening news and starts telling the truth, the frosting has been whipped up by Ivo van Hove, Europe’s most pretentious stage director. 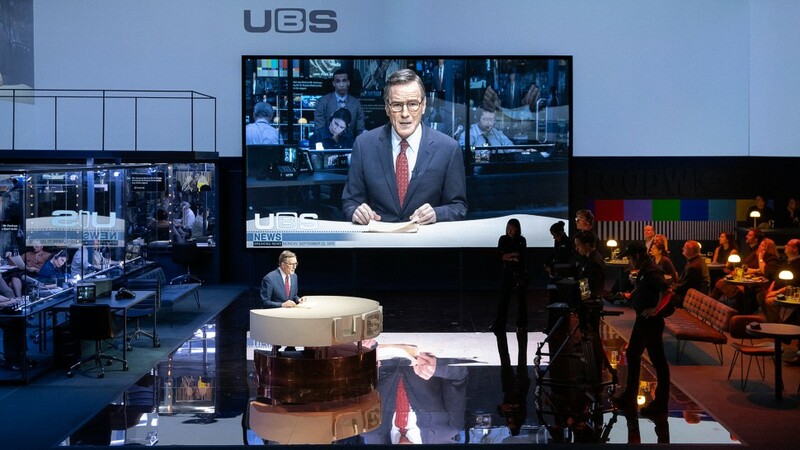 Working in close collaboration with Jan Versweyveld, the scenic and lighting designer, and Tal Yarden, the video designer, Mr. van Hove has given us a TV-screens-and-Plexiglas production that looks thoroughly postmodern. The catch is that Mr. Hall’s script, set in 1975, is a faithful adaptation of Chayefsky’s screenplay, a once-prescient satire of the dumbed-down future of broadcast news. All of Chayefsky’s predictions having long since come to pass, “Network” is thus a musty period piece: The bomb has already gone off…. As for “The Cher Show,” it’s a two-and-a-half-hour exercise in public self-love, a worshipful jukebox musical about the life and times of the woman whose program bio describes her as having been “a worldwide superstar and household name for more than 50 years.” Rick Elice, who wrote the book of “The Cher Show” after extensive consultation with its subject, has missed no opportunity to glorify her household name, or to suggest that Cher’s life should be viewed as the inspirational tale of a proto-feminist who overcame the lack of faith of the men in her life to become a “Goddess Warrior” (her phrase) by telling herself over and over again that “the song will make you strong” (her mother’s phrase). 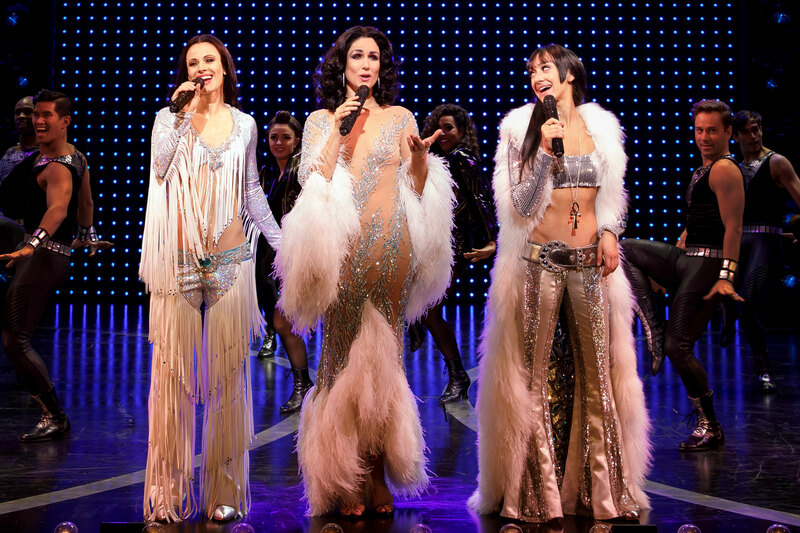 The result may well be the glitziest, campiest musical ever to hit Broadway—the budget line for Bob Mackie’s costumes alone must surely have been big enough to send a second rocket to Mars—but one that is devoid of cleverness, much less wit….